that you should definitely partner with? Don’t wait for your iPad app to complete and start the promotion process now. Partner with us to prepare the ground so that by the time it is time to launch there is already an eager audience waiting for your iPad app or iPad game. The first place your target audience is going to check for new iPad apps and iPad games is the Apple App Store and this is why optimising your App Store listing is one of the most important aspects of iPad app promotion. Through our App Store optimization services, we make sure that your iPad app or your iPad game is displayed prominently and is easier to find. As a developer, you should be focusing more on the rich features and the interface of your iPad app rather than worrying about post-launch marketing. 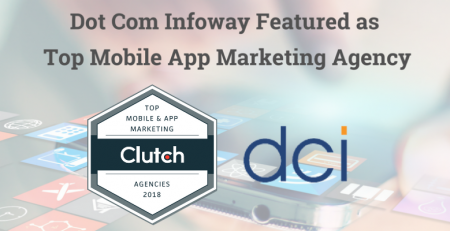 Let DCI take control of it because as one of the top app marketing agencies, have already gained millions of users for app and game developers. It matters a lot that you acquire valuable users for your iPad app as early in the game as possible because the more users you get, the better feedback you have for further improvements in your iPad app or iPad game. At DCI we can help you formulate and execute a supercharged iPad game marketing strategy that will encourage hundreds of thousands of iPad game enthusiasts to download your game, play the game, and share it among their peer groups. Whether it is users purchasing your iPad app, or upgrading to the premium version (once they have tried out the trial version), we can help you create an app marketing funnel that will draw your target audience to your iPad app or game listing and motivate them to pay for your iPad app or game. Top-notch iPad app marketing and gay marketing services totally tailored to your needs. Want the DCI iPad marketing team to have a look at your iPad app or iPad game and give you a no holds barred analysis of its marketing potential? Avail this premium-opportunity for free from one of the top iPad app marketing services in the world. Marketing an iPad app requires very specialized domain knowledge and experience. It is totally different than generic Internet marketing. Listed below are a few reasons why DCI can be your best choice for the task at hand. Years of experience helping app and game developers acquire new users fast. More focus on acquiring quality users who seriously have a use for your iPad app or game, through strategic iPad app marketing services. Deep insight into how your core target audience responds to your category of iPad apps and iPad games. Use of advanced big data analytics to draw intelligence out of user behavior and formulate your iPad app marketing strategy accordingly. Less noise and more results. Regular process optimization and performance reports. Being an award-winning mobile app marketing company there are certainly more than one success stories. Do visit our “Success Stories” section to get a glimpse of what wonders we have worked with our marketing capabilities. The smiles on our clients’ faces (or their messages of appreciation) are our greatest rewards. FAMP and I received a mention on the local TV news station, First Coast News, last night! To say the least, I was surprised and pleased. I’m impressed and hope the continuing marketing efforts translate to greater acceptance of the app. Keep up the good work!! Will you formulate the complete marketing strategy for my iPad app? Yes, DCI can help you formulate, execute, evaluate and then re-execute your iPad app or iPad game marketing strategy and make sure your iPad app or iPad game experiences phenomenal growth in the least amount of time. I have little experience in marketing? How will you work for me? We understand that you are an app or a game developer, and not an experienced marketer, and that’s perfectly fine. This is what we are here for. Just as you are an expert in your field, we are experts in our field. We will keep you in the loop and keep you informed at every stage. Our marketing team will make a comprehensive presentation to make sure you completely understand how we are going to carry out your iPad app or iPad game marketing strategy. Are you going to use multiple platforms to promote my iPad app? Yes, Internet marketing involves these days bringing exposure to your iPad app or iPad game on multiple channels including social media, email marketing, blogging, search marketing and App Store optimization, aside from various promotional campaigns like contests and polls. Will I have a dedicated team for my marketing needs? It depends on the iPad app or iPad game marketing plan you opt for, but yes, we can arrange a dedicated app or game marketing team to your project. We will be signing an NDA. Our clients can fully trust us. We have worked for more than 1000 clients so far and they have all put utmost trust in our values and principles. Can I get a custom marketing package? Yes, you can. Just let our representative know what your requirements are, and we can prepare a unique iPad app or iPad game marketing package for you.